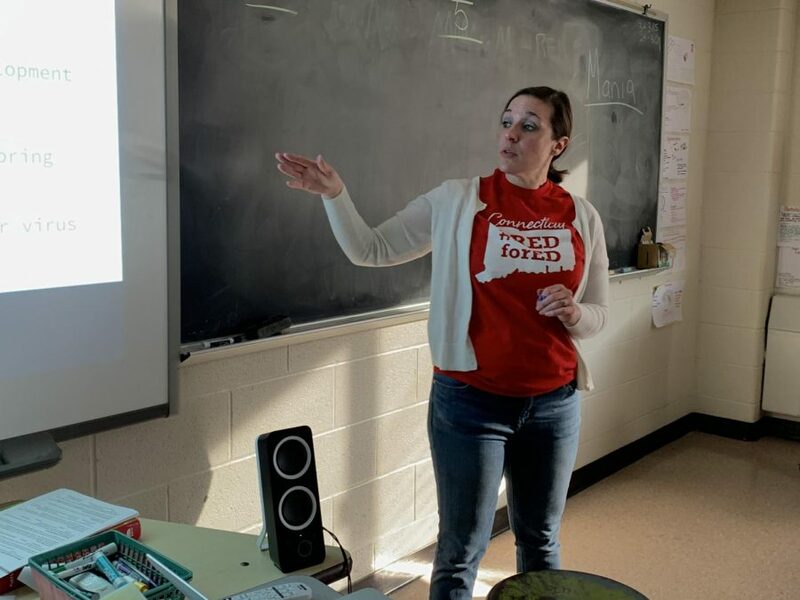 Lindsey Stoffa, psychology teacher, wears the Red for Ed t-shirt on Wednesday, March 20, in support of NEA-Danbury's school budget campaign. Stoffa is also the union's co-chair of its Teacher Evaluation Committee. Updated at 5pm April 3 with comments from Mayor Mark Boughton’s office. 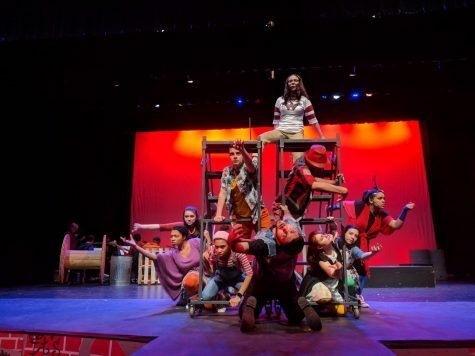 Every Wednesday, flames erupt across DHS as the staff wears red. For each member of the DHS community that wears red, the flames grow bigger, and the Red for Ed movement grows stronger. 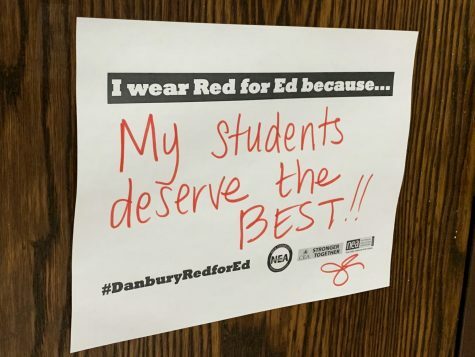 The Red for Ed campaign supports full funding by the City of Danbury of the school board’s budget proposal. 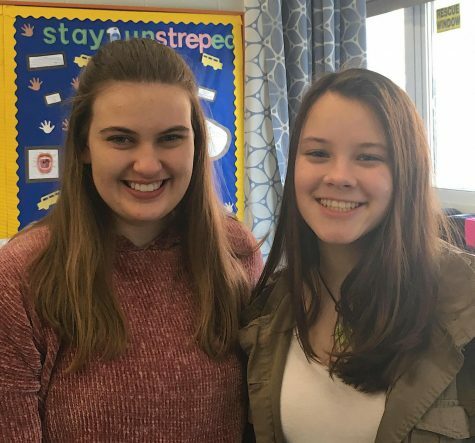 “Red for Ed has been a successful movement in other states to support teachers and students,” said Juliane Armentano, NEA-Danbury’s building chair for the high school. The teacher’s union is spearheading the campaign with the Board of Education’s unofficial blessing. The board develops the budget, but must present it to the City Council for approval. Generally, the city does not fully fund the proposal. It’s in that review process now. 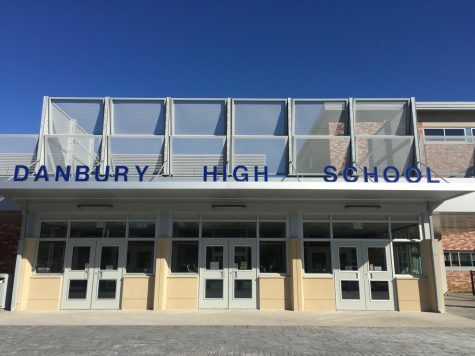 This cycle has led Danbury to be ranked 169 out of 169 districts in pupil spending across all of Connecticut. 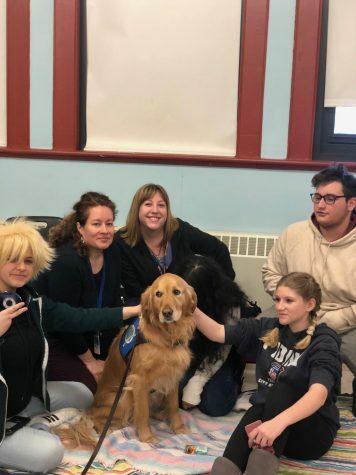 Each student in Danbury receives $3,200 less than the statewide average, which totals $35.6 million districtwide, according to figures compiled by the Connecticut Education Association. 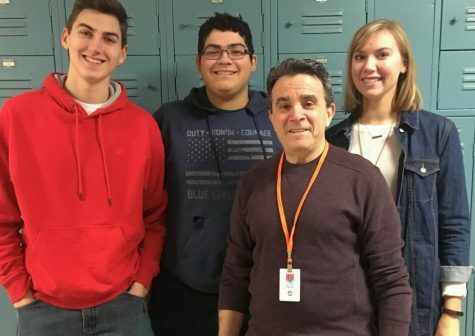 “No one wants to say they are from the town from the least funding in the state, and no one wants to move to a town with the least amount of funding,” Armentano said. 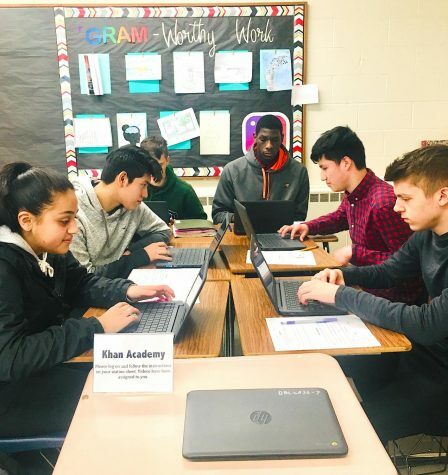 Consequently, NEA-Danbury has agreed with the Board of Education’s proposal of a $7.3 million increase to the budget to reduce this spending gap for the upcoming school year. With the budget increase, the board is asking to hire five more teachers, a dean of the freshman academy, a counselor, a technical support analyst — all at the high school — and four more K-12 special education teachers. 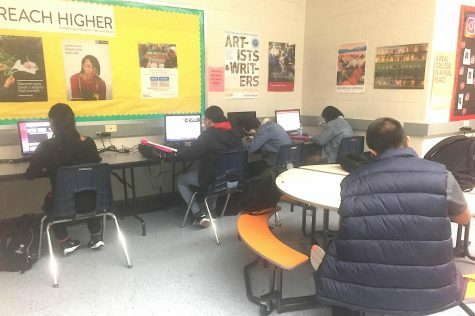 As enrollment grows, the increase in transportation fees as well as the need to advance educational programs, core instruction, and programs for struggling learners are the driving forces for this year’s budget increase. 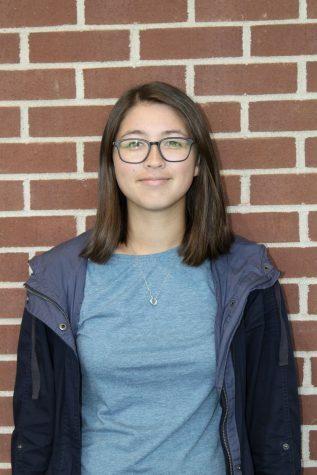 Along with the school’s lack of funding, online programs such as Membean and textbooks are not accessible to all students and teachers, mentioned senior Destiny Cabello. 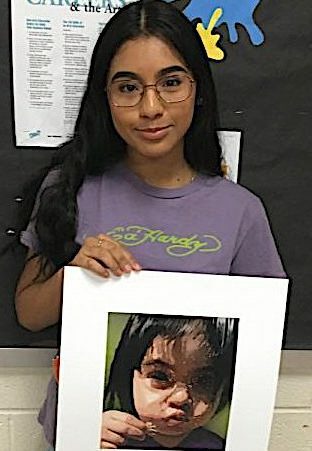 Overall, the budget increase is driven by the growing population, new graduation requirements, need for resources to support educational programs, and the stigma that comes with the rank 169. Wearing red each Wednesday during the budget season has caught on throughout the district’s schools. The union is providing Red for Ed t-shirts as long as the members commit to wearing them each Wednesday. If they don’t have a t-shirt, they are encouraged to wear anything red from their closets. Juliane Armentano, English teacher, has this poster on her door in support of the Red for Ed campaign and her students. 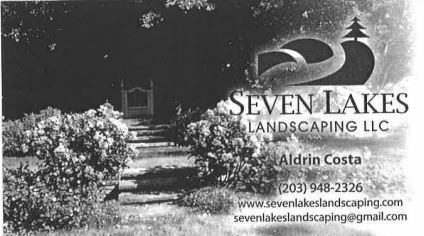 By May 7, the budget will be finalized. In the meantime, teachers will continue wearing red for the Red for Ed campaign. “I’m not accepting 169, so I’m doing something,” said Bilbao.